Trust K9 – the specialist offering tailored bed bug solutions for hotels. Trust K9 are bed bug specialists, we have the UK’s first NESDCA certified bed bug dog and the largest team of bed bug sniffer dogs in the UK, allowing for early detection. If you have a bed bug problem we use the latest in heat technology to heat up any affected rooms and kill the bed bugs immediately, minimising the impact on your guests and reputation. Trust K9 specialise in offering hotels tailored bed bug solutions, we can work independently with you, or can work with your existing pest control or facilities management company. 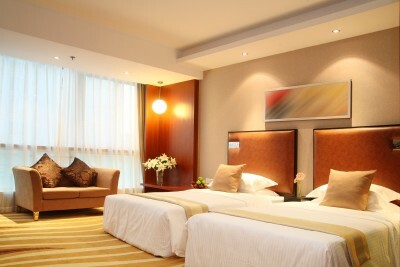 Catch the infestation at the earliest point, before the bedbugs spread throughout the hotel. This cuts down the risk of guests being bitten and drastically reduces the cost and disruption of treating a large number of rooms. Just a few moments searching sites such as trip advisor, where there are over 75,000 references to bed bugs, is a good indication of just how widespread bed bugs are becoming, and how damaging they can be to a hotel’s reputation. Treat the problem quickly- heat treatment is the only method which can kill eggs and bed bugs immediately, allowing you to rent the room the same day as treatment. Unfortunately it is not possible to prevent bed bugs. They are carried into hotels by guests or hotel workers in their clothes and luggage. However, Trust K9 offer a unique bed bug management programme allowing you to proactively monitor for bed bugs, significantly reducing the risk.